I think I may have just broken the herfing record, and if not, I have certainly been trying my best to. LOL. 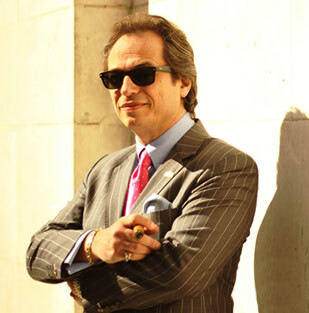 Arturo Fuente – Truly the Rolls Royce of premium cigars and exclusive to C.Gars in the UK. Oliva – If you haven’t tried the Orchant Seleccion range…you are seriously missing out as they are first rate. 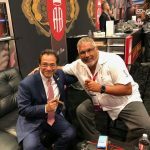 Alec Bradley – Our Orchant Seleccion range is now one our most successful cigars ever! Cigar Oasis – Exclusive to C.Gars, this range of products is superb for the serious cigar enthusiasts. Macanudo – Exclusive to C.Gars in the UK- fabulous value, superb quality. 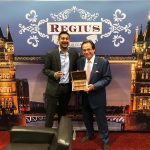 Regius – Our favourite boutique brand, Orchant Seleccion range available in the UK and the USA. Made by Plasencia and incredibly good value. Davidoff and Avo – I love these brands, probably the best construction and finest blending money can buy. Our exclusive Davidoff Lancero Orchant Seleccion is the best cigar we have ever been involved with. 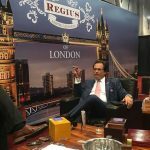 No sign of any other UK cigar merchants being spotted at the show. 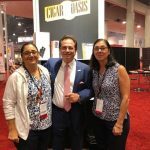 Probably the reason C.Gars has all the latest accessories and cigars? Yes, quite probably, lol. 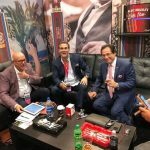 After the show the herfing continues with aperitifs at the Davidoff lounge followed by the Alec Bradley dinner on Sunday and Sinatra’s at the Wynn on Monday. 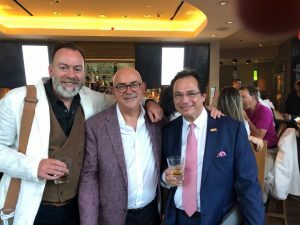 Great to hang out with our partners Steve Johnstone of Robert Graham Ltd, Akhil from Regius cigars, Scott Vines from Tor Imports and Keith & Lindsay Allen from Tabac World. I thought the show was not as bizzy buzzy this year, which was fine by me as it was easy to blast round all the stands. We have some very exciting new projects that will come to fruition over the next 6 months. I had planned to have a day off on Wednesday but that didn’t quite work out as friends and clients descended on the hotel pool area for another 10 hours of herfing by the pool 🙂 I think we may well have drank all the Champagne the hotel had lol. Finally (for last week at least) it was time for the legendary annual San Diego herf (thank you V.C.) a monumental all day / evening event for around 70 attendees. We had perfect weather, delicious lunch and dinner, opera singing entertainment and copious amounts of cigars. 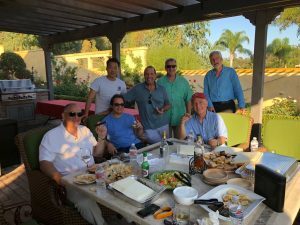 Truly the best herf with some of my best friends on the annual schedule. 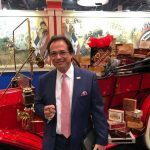 Our multi award winning Orchant Seleccion Cigar Malt Whisky featured at this event and I was quite overwhelmed by the amount of compliments about this Scotch. That said it is a huge success story, great value and perfect with a premium cigar. We literally can’t keep the shops stocked up fast enough with it. I’m taking a couple of days R&R now (I think I deserve it! ), then back to a full on herf schedule with friends all over L.A.